In the past few years there has been a large exposure of this injury in the media surrounding the NFLs cover-up of concussion incident rates and the long term effects resulting from blows to the head. This included great debate over ground breaking research by Bennet Omaulu and his discovery of Chronic Traumatic Encephalopathy (CTE) and research conducted by the Mild Traumatic Brain Injury committee run by the NFL. If you want to learn more about this take a look at the book and film ‘Concussion’ and the book League of Denial by Mark Fainaru- Wada and Steve Fainaru. Despite the NFL claiming they have changed their concussion policy it appears evident that pro-footballers are still returning to the field having not taken the medical screening to allow them back onto the field. Who saw the recent game with Russell Wilson? It’s not just happening in American Football! …. “What has happened is that World Rugby have got themselves in an awful mess by creating two categories of concussion: a suspected concussion, where you must come off and stay off, and a potential concussion, where you can come back on. It is a nonsense. By very definition if you are doing a concussion assessment then you have suspect the player is concussed. It opens a pathway for brain injured players to stay on the field.” – Barry O’Driscoll post George North concussion during the 6 Nations Rugby Union. Why is this happening when we have so much more information than we did previously? There is no excuse! Through my work it is becoming more evident that Britballers are in the dark when it comes to understanding concussion. Education is key, hence why I am writing this post. As research develops, so will the advice shared on this page. Concussion, also known as minor traumatic brain injury (TBI), is ‘the sudden but short-lived loss of mental function that occurs after a blow or other injury to the head’ (NHS, 2014). Clinical signs and symptoms encompass emotional, cognitive and physical areas. Concussion is an injury to the brain is caused by a sudden acceleration or deceleration. This can be due to a direct blow to the head or indirect force which produces violent jarring of the brain within the skull. Unlike what we often think, the brain is not fixed within the skull, it is suspended, the two do not move as one. Imagine an orange within a Tupperware box. A violent knock to this box will cause the orange to bash against the walls of the plastic box and become bruised. Such damage occurs to the brain within the skull. Forces rapidly transit down the centre of the brain causing a dissociation between the left and right side of the brain. 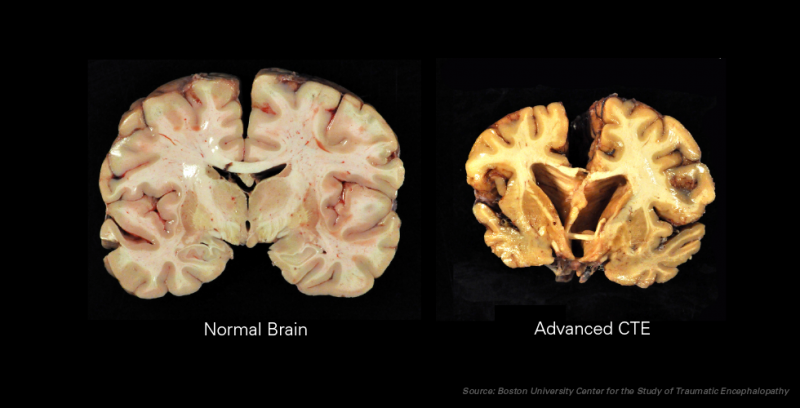 CTE has been found deep within the brain, causing great atrophy. To learn more about the physiology, take a watch of this great Ted-talk video. The brain balances a series of electro-chemical events in billions of brain cells. However when the brain is shaken or jarred soft tissue damage occurs causing brain function to be temporarily disrupted. This is when we might spot clinical changes within the individual. These symptoms may occur immediately following impact to the head, or can develop hours, days or weeks later. If any of the symptoms become problematic or persistent, further assessment should be made by a doctor. Between 1.6 and 3.6 million individuals are affected by sports related concussions each year in the United States. Within the 2011-2012 National Hockey League season 4,878 concussions were reported per 100 games. This sport has seen a steady rise greater than tenfold in the concussion rate between the 1986-1987 season and 2011-2012 season. Why is the incident rate increasing so dramatically? Increase in player size? Athletes are now heavier, taller and stronger than previous years, meaning there is more force travelling through each hit. Within the NHL player height has increased by 1 inch and an average weight by 10 pounds. Player position – concussion is also seen more commonly within some playing positions than others. For example, within the National Football League, research has seen concussions to occur more frequently in wide receivers, tight ends and defensive backs. Fighting – within the NHL, 9% of concussions are due to fights between players. Incident rates appear to be higher when the individual is unaware, un-expecting and unprepared for a hit. 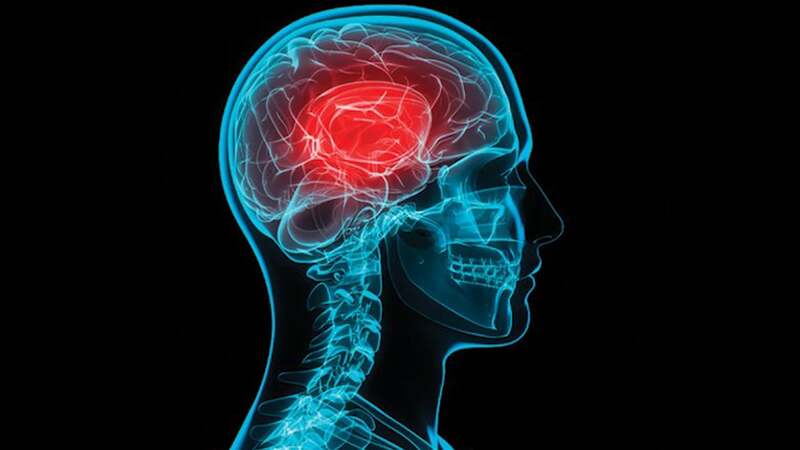 Even when other injuries occur, concussion might still be present. Always check your athlete! 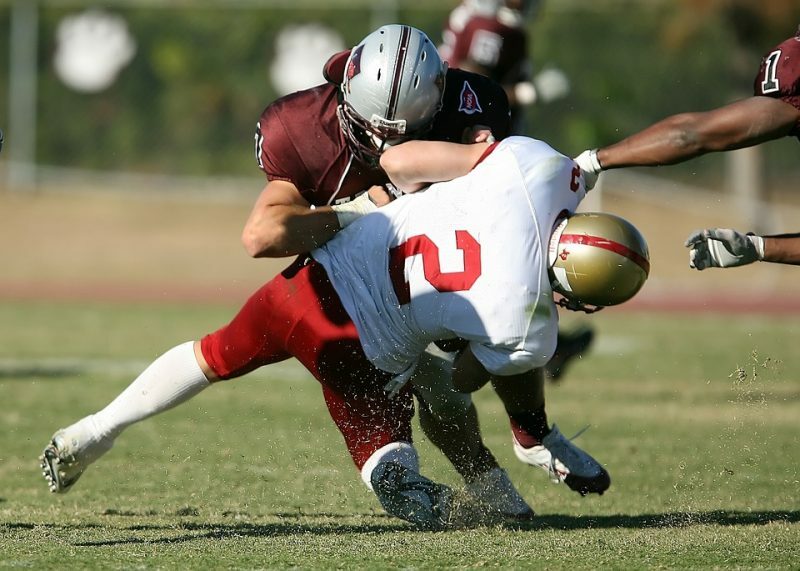 Even a minor blow to the head may leave an individual concussed. Someone who has a concussion may not necessarily be aware of it, or they may not admit it due to a fear of being taken out of the game. Symptoms of concussion can be delayed, therefore it is important to continuously assess the player. Immediate Pitch assessment should be actioned, followed by a side-line and medical room assessment to watch for any deterioration in symptoms. The SCAT5 test can used by medical professionals to evaluate and diagnose concussion. 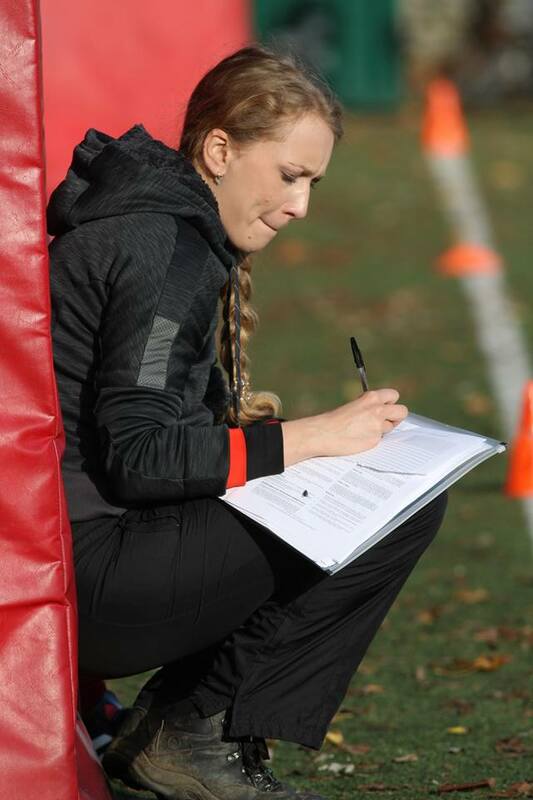 The SCAT5 test is designed to assess concussion signs and symptoms in athletes. This procedure has been validated by several scientific studies. The test includes; the Glasgow Coma Scale; Maddocks Questions; Balance, neck and co-ordination examination; injury advice and information about the return to play protocol. The brain, like any other injured body part should be rested in order to allow for recovery. Athletes should do no physical exertion that will raise their heart rate, limit mental activity i.e. school work and playing on video games. Continuing to play may increase the players risk of more severe, and/or longer lasting concussion symptoms. It could also put the player at risk of other injuries. Should the player show signs of a more serious head injury, an immediate action of emergency care should be taken, i.e. CPR, phoning 999 for an ambulance. BAFA do not currently have a stand-alone concussion protocol. Instead they advise using the RFU guidelines. The RFU have put together a Graduated Return to Play protocol which can be viewed here. The GRTP is dependent on the player age/level/setting/who the player is supervised by. 2+ concussions within 12 months requires medical clearance by a neuro consultant. It is the responsibility of you in your team and your coaches to notice any changes in your team mates and point these out. For the sake of your teams health and success. Kuhn, A.W. and Solomon, G.S., 2015. Concussion in the National Hockey League: a systematic review of the literature. Concussion, (0), pp.1-7. Lawrence, D.W., Hutchison, M.G. and Comper, P., 2015. Descriptive epidemiology of musculoskeletal injuries and concussions in the National Football League, 2012-2014. Orthopaedic journal of sports medicine, 3(5), p.2325967115583653. Signoretti, S., Lazzarino, G., Tavazzi, B. and Vagnozzi, R., 2011. The pathophysiology of concussion. PM&R, 3(10), pp.S359-S368. Anderson, M.K., 2003. Fundamentals of sports injury management. Lippincott Williams & Wilkins.